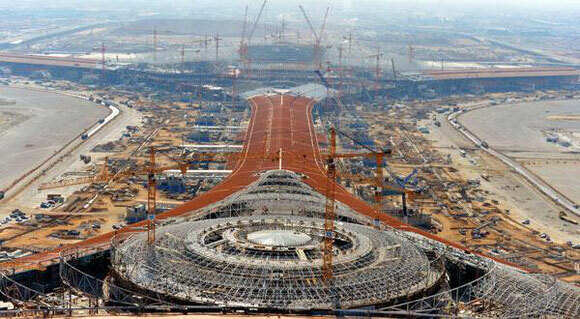 This is a surprising and for Singapore’s Changi Airport somehow sobering decision: Saudi Arabia's aviation authority has terminated a concession agreement with Changi Airports International (CAI) and its local Saudi partner to operate the King Abdulaziz International Airport in Jeddah, it said in a statement. The General Authority of Civil Aviation (GACA) awarded the contract last April for a period of up to 20 years. It did not elaborate on its reason for cancelling the agreement. Changi and its partner, the Saudi Naval Support Company, confirmed in a separate statement that the consortium had received a notice of termination from GACA. Saudi Arabia has brought in foreign firms to manage some of its airports for the past several years as part of a broader privatisation drive, which will eventually involve selling stakes in the airports themselves. A report in the Singapore newspaper The Straits Times noted that while CAI has won several airport consultancy and development projects in growing aviation markets, including China, India, Russia, Brazil and the Middle East, the Jeddah contract was a significant one. Jeddah has been the KSA’s prime cargo hub for a long time. Changi Airports International, the global marketing arm of the Singaporean airport, owns 75 per cent of the consortium that was awarded the contract in June last year. The Straits Times report said that spreading its wings overseas is a growing focus for Changi Airport, which has so far left its mark on over 50 airports in more than 20 countries. But business has been challenging. CAI's revenues have increased from S$18.5 million in the 2012/2013 financial year to S$41 million in the 2015/2016 financial year. But high operating costs, including taxes, in an already capital-intensive industry, as well as foreign exchange losses, have put pressure on profits, which fell to S$6 million during the same period.